With tires that can handle buckets of electric power. Among all of the fabulous supercars and hypercars at the 2019 Geneva Motor Show many of this year's debuts featured high-power battery propulsion rather than a traditional internal combustion engine. 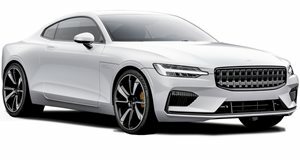 These include the 400-horsepower Piech Mark Zero, the sublime 1,000-horsepower retro-inspired Hispano Suiza Carmen, luxurious Lagonda All-Terrain Concept, stunning Italdesign DaVinci Electric GT Concept, Telsa Model 3-rivaling Polestar 2, and 1,914 horsepower Rimac C_Two. It's difficult to believe how much power some of these new electric supercars are putting down and in order for these cars to be successful, tire companies will need to adapt with rubber that can handle all that electric grunt. Over at the Pirelli display, the Italian tire maker looks ready for the electric future. Pirelli arrived at Geneva with four new tires designed with performance in mind. Being no stranger to making bespoke tires, Pirelli introduced a new tire called the P Zero 'Elect,' which is specifically designed for electric supercars. The Elect tires offer low rolling resistance to maximize range with an emphasis on maintaining a quiet cabin. Low rolling resistance tires can sometimes reduce grip but these have been specially designed with sports cars in mind. The first two cars to wear these tires, the Italdesign DaVinci and the Pininfarina Battista, both made their debut in Geneva. Along with the Elect tires, Pirelli also showed off new P Zero Winter tires, which are specifically designed for high-performance vehicles. These winter tires offer safety in the snow while maintaining the performance and feel of a summer tire. For those who live at the race track, Pirelli also introduced new P Zero Track Adrenaline tires, which sync up to a smartphone app to display telemetry data such as tire temperature and pressures. The app can even tell drivers when to warm up their tires and when they are warm enough to set a flying lap. Finally, exotic automakers have been searching for new methods of customization for their customers, so Pirelli has introduced a new Color Edition tire for models like the Aston Martin DBS Superleggera. The Color Edition tires feature colored sidewalls to add a unique touch to any car or motorcycle.